Turn to Majors Home Improvement when you need residential windows installed at your home in Pensacola, Florida, or a nearby city. For two decades, we have provided expert service and high-quality products for customers looking to upgrade their homes. Our commitment to going above and beyond to ensure total customer satisfaction has earned us an A+ rating with the Better Business Bureau and a five-star rating with GuildQuality. 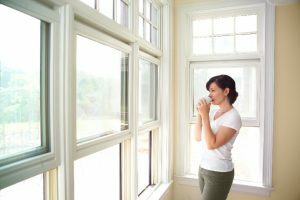 At Majors Home Improvement, we provide complimentary consultations, during which we’ll tell you more about our residential windows. During this consultation, you won’t need to worry about pushy salespeople selling you on a particular window style. Instead, we’ll work together with you to figure out the best option for your home and your personal taste. What’s more, from start to finish, you can count on receiving Red Carpet service from our team. This means that we’ll treat you as if you are a member of our family and keep you informed on your project through emails and phone calls so you’re never left in the dark. If you’d like to learn more about our residential windows and installation services, contact Majors Home Improvement today. We’re proud to be a leading home improvement company in Pensacola, FL, and nearby cities.